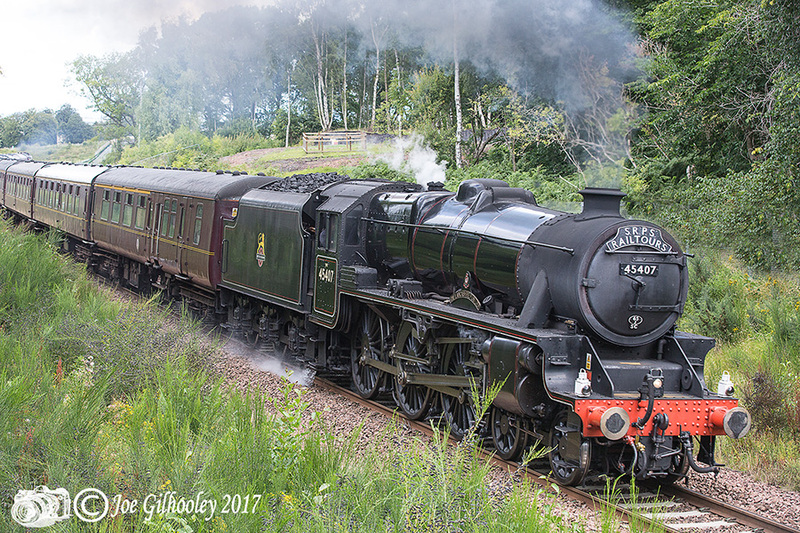 Sunday 13th August 2017 The Lancashire Fusilier number 45407 Steam Train travelled The Borders Railway . Caught up with it at Gore Glen . Hard photographing a black engine. 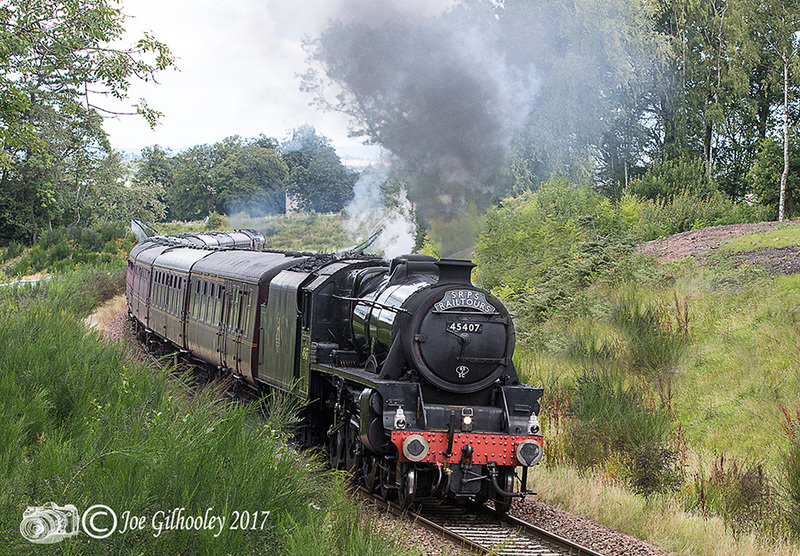 Here are three images I captured as it headed south to Tweedbank. 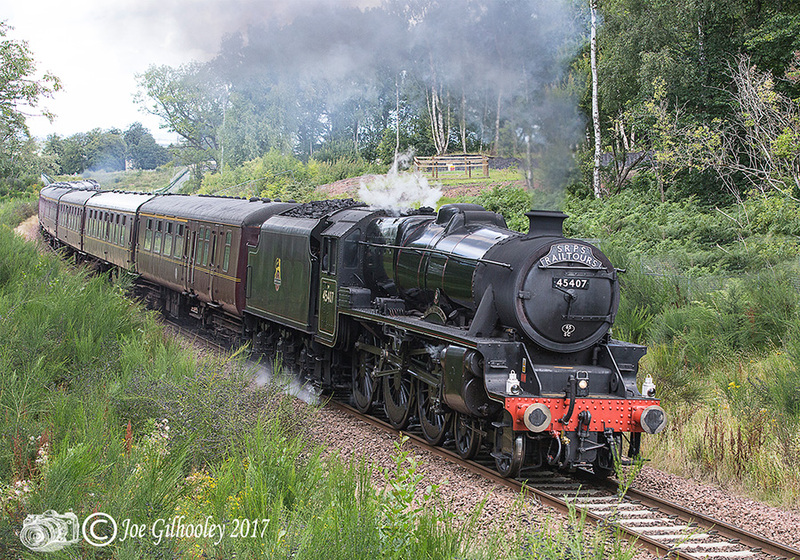 The Lancashire Fusilier normally runs the Fort William to Mallaig over the Glenfinnan Viaduct - made famous in the Harry Potter films.